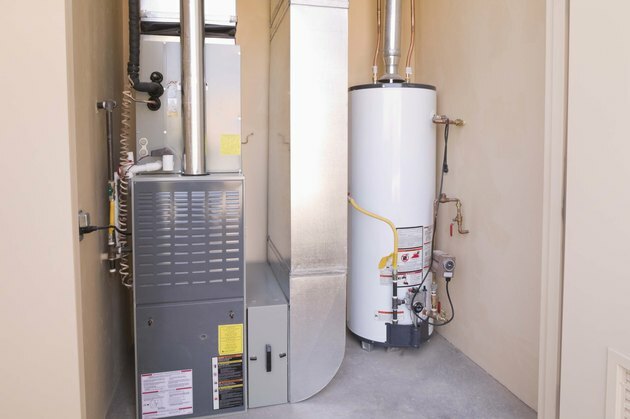 Furnaces can overheat for a variety of reasons, but more often than not the basic problem behind an overheating furnace can be traced to air flow. If your furnace isn't getting enough air, it can overheat, causing it to shut down or even start a fire in extreme cases. Air flow issues are the first thing to investigate when you troubleshoot an overheating furnace. 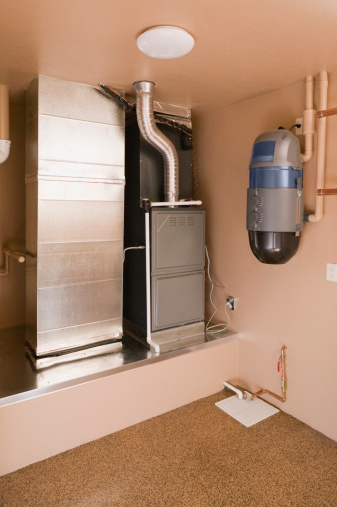 Furnaces can overheat for a variety of reasons. Check your vents. Vents can be blocked by furniture and other objects, which restrict air flow and can potentially lead to overheating. Some homeowners also close some vents, either to save money on heating or to direct heat to certain rooms. Overheating typically occurs if 60% or more vents are blocked. Change your air filter. The filters in your furnace block dust, dirt and a variety of other particles as air passes through them. Over time, more and more buildup occurs and filters can become clogged, which may cause overheating. In a typical household, filters should be changed at least once every three months. Inspect your furnace's evaporator coil. The evaporator coil absorbs heat from the air in your house, and if it gets damaged or becomes too dirty your furnace may start cycling -- shutting down and starting up again -- and might overheat. It's generally a good idea to check your evaporator coil every year and clean it if necessary. Check your furnace's blower fan. The blower fan supplies air to the heat exchanger, and if the fan is blocked or dirty, it may cause overheating.